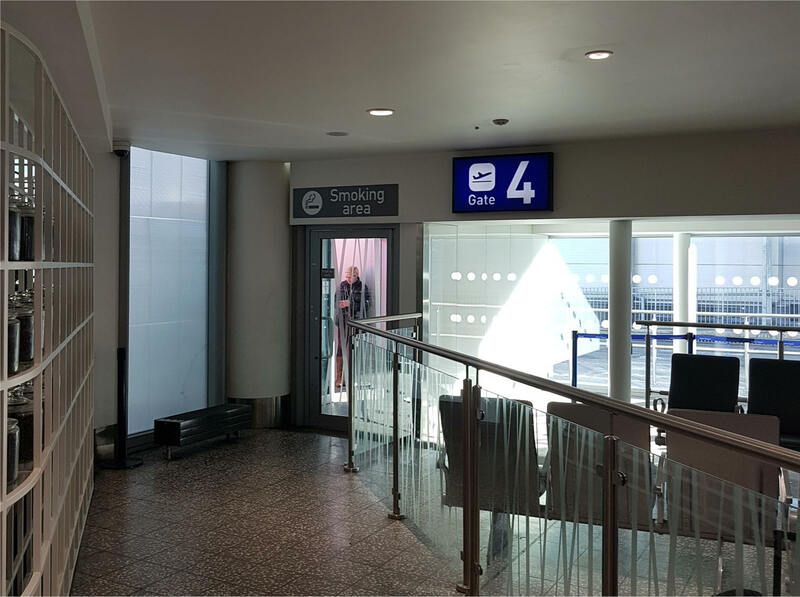 There are two smoking facilities inside the terminal. One in the bar and the other near the seating area in Departures. Photo below provided by Jennifer M. Nov 2018.